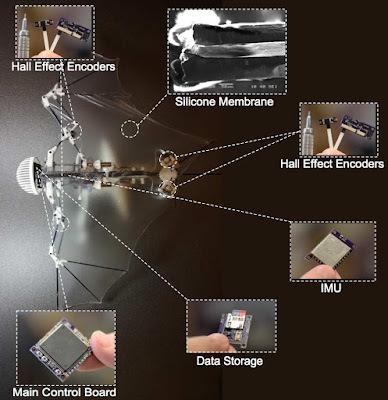 Although it seem that most autonomous flying robots tend to be of the spinning propeller variety, there is a huge academic push to create a drone that can't accidentally chop a human's face to pieces. 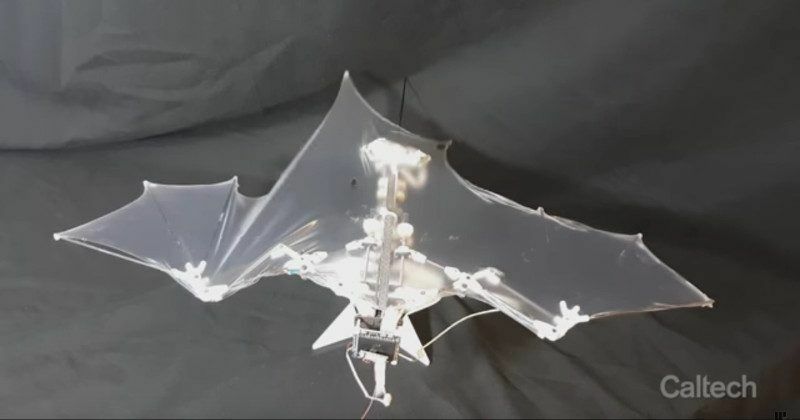 Caltech are working on one such a machine, the B2 (or Bat bot as we're sure everyone is calling it) - a drone that accurately mimics the movements of a bat. Copying the way a bats flies seems to have been a pretty tough task, and although B2 can only stay aloft for a few seconds, it demonstrates that the drones of the future might not look like how you expect them to.